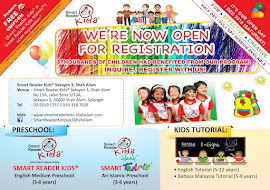 Smart Reader Kids, Seksyen 3 Shah Alam - Selangor Malaysia: Preschool Open Day 2012! We'd like to invite all Parents and Kids to come for our Open Day! We have now open seats for pre-schooler registration for 2013 intake. 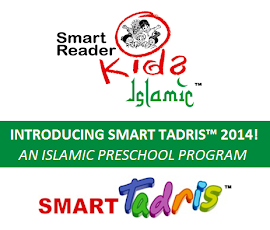 For parents who would like to learn more about Smart Reader Kids program or to explore our child enrichment & development center, please come and join in the fun! There'll also be some great promotion for registration made during the day! RSVP us or simply contact us for more detail!